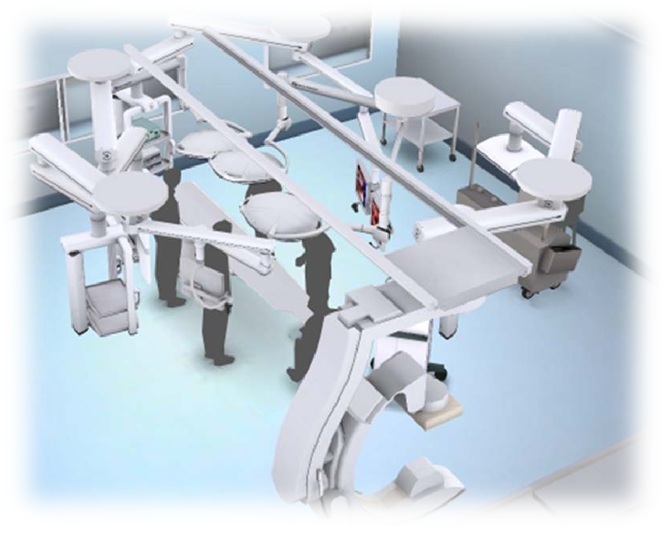 Hybrid Operating Room & Cardiac Cath Lab Layouts, Designs, CADs, & 3D Mockups. Create a Hybrid Lab custom to your specification. Would you like to design your own Hybrid OR in 3D? We can mock up a room for you in less than 24 hours! Please call us directly (925-588-9614) so that we can gather some brief information about your desired room layout. You may also submit your request via the 'Submit Inquiry' section as well. 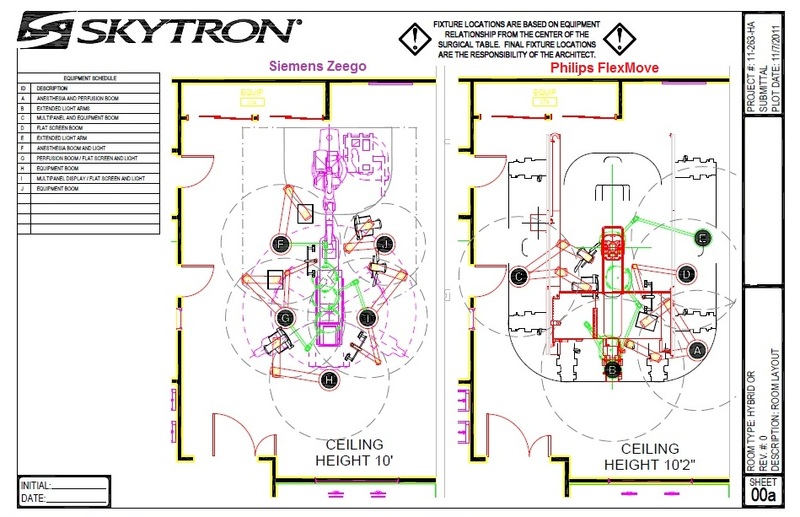 We look forward to helping you design your custom Hybrid Room layout! Once complete, we will send you a link to your custom designed room. You can share this interactive 3D Hybrid Room mock-up with others as you see best fit. Additional adjustments can be made to your design thereafter as well. There is ZERO obligation and ZERO cost for creating this custom designed 3D Hybrid Room. We are here to help! Not only the usage of a Hybrid Operating Room is "hybrid", but also it's role within the hospital system. As it holds an imaging modality, the radiology department could take the lead responsibility for the room for expertise in handling, technical, maintenance, and connectivity reasons. 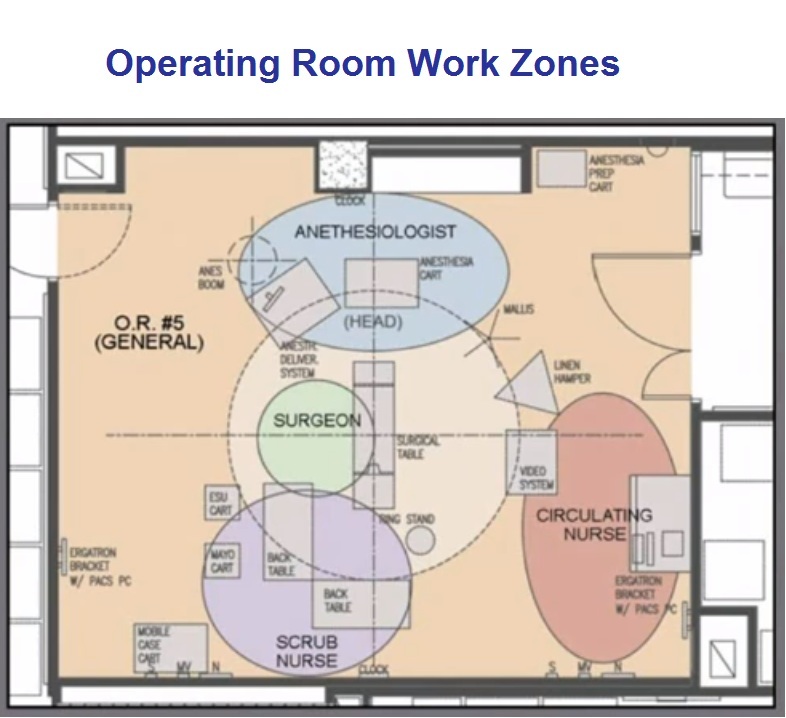 From a patient workflow perspective, the room could be run by their surgical department and should rather be situated next to other surgical facilities, to ensure proper patient care and fast transportation. 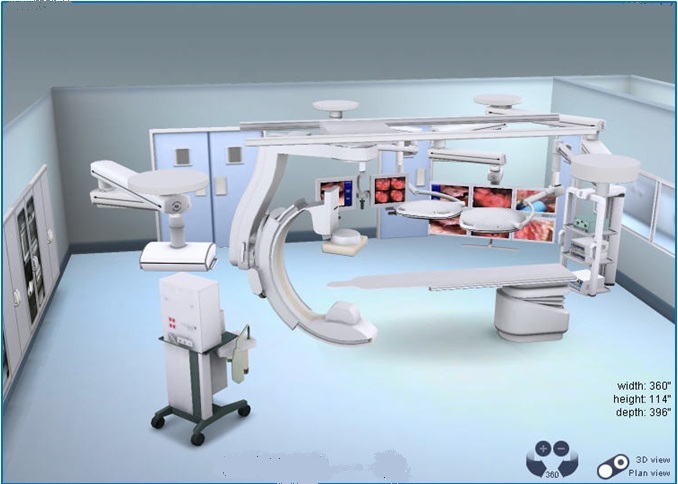 Installing a hybrid OR is a challenge to standard hospital room sizes, as not only the imaging system requires some additional space, but there are also more people in the room as in a normal OR. A team of 8 to 20 people including anasthesiologists, surgeons, nurses, technicians, perfusionists, support staff from device companies etc. can work in such an OR. 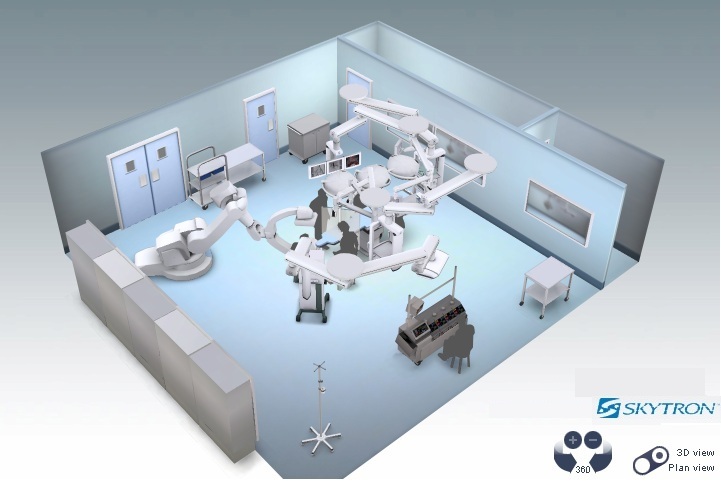 Depending on the imaging system chosen, a room size of 70 square meters including a control room but excluding a technical room and the preparation areas is recommended. Additional preparations of the room necessary are 2-3mm lead shielding and potentially enforcement of the floor or ceiling to hold the additional weight of the imaging system (approximately 650–1800 kg). Planning a hybrid OR requires to involve a considerable number of stakeholders. 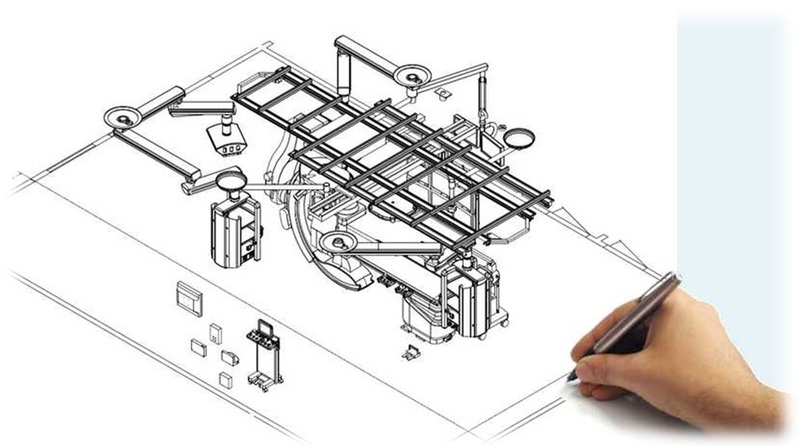 To ensure a smooth workflow in the room, all parties working there need to state their requirements, which will impact the room design and determining various resources like space, medical, and imaging equipment. 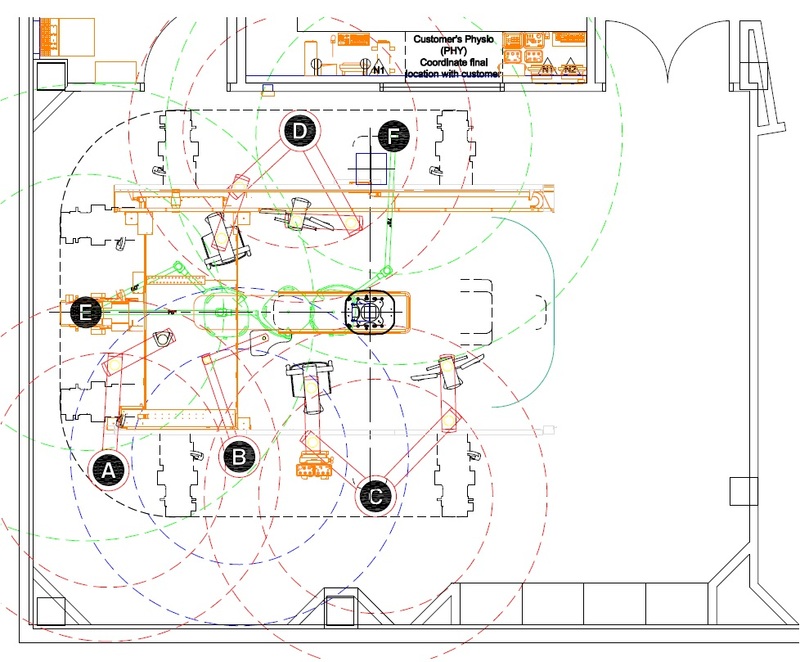 This may require professional project management and several iterations in the planning process with the vendor of the imaging system, as technical interdependencies are complex. The result is always an individual solution tailored to the needs and preferences of the interdisciplinary team and the hospital.